Liege-Bastogne-Liege 2015: Who will win? 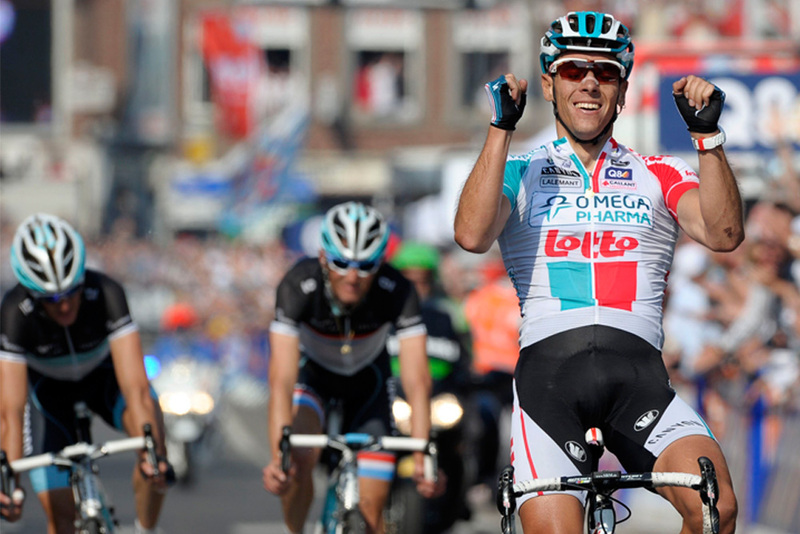 Liege-Bastogne-Liege closes out the 2015 Ardennes Classics on Sunday, April 26. With 2014 winner Simon Gerrans (Orica-GreenEdge) still recovering from early-season injury, the defending champion is only an outside bet for victory. Instead, there are a selection of former winners and on-form riders that could conquer the prestigious Belgian race. Here we rate the chances of the leading contenders. Michal Kwiatkowski (Etixx-QuickStep) Despite fading at the finish of Fleche Wallonne on Wednesday, Kwiatkowski still looks like the man to beat. This season he has improved on longer climbs whilst also seeming to lose some of his edge on the steepest climbs, which should mean that Liege suits him better than Fleche Wallonne. Should he win, he’ll become the first World Champion to do so in La Doyenne since Moreno Argentin in 1987. Alejandro Valverde (Movistar) Valverde has been the stand-out performer this week thanks to second at Amstel Gold and victory at Fleche Wallonne. He also has a very good record at Liege, having won two times in 2006 and 2009 and finished on the podium in each of the last two editions. All this makes him the bookies’ favourites, but whenever the Spaniard has had that label in the past he tends to falter and just miss out. Dan Martin (Cannondale-Garmin) Another crash ruled Martin out of contention at Fleche Wallonne, although his abandonment was more of for precautionary reasons that due to outright pain. If the Irishman can recover in time he’ll be one of the men to beat, having established himself as a Liege specialist; he won here in 2013, and may have been about to repeat that feat last year before crashing on the finishing straight. Rui Costa (Lampre-Merida) With so many of the Ardennes favourites struggling with either form or injury, Rui Costa has emerged as one of the favourites for Liege. Fourth at Amstel Gold proves he has the form, and his combined strengths of good racing legs and good racing brain could see him make the winning move come the finale. Joaquim Rodriguez (Katusha) ‘Purito’ may have missed his best chance at winning an Ardennes Classic by only managing fourth at Fleche Wallonne, but that results nevertheless indicates that he should be there or thereabouts in Liege. If he can repeat the same kind of late uphill accelerations that saw him win consecutive Tour of Lombardys in 2013 and 2014, he’ll be difficult to beat. Philippe Gilbert won the 2011 Liege-Bastogne-Liege, but has he recovered sufficiently from his crash in Fleche Wallonne to contest the 2015 race? Philippe Gilbert (BMC Racing) Despite the good legs he had up the Cauberg at Amstel Gold, it’s difficult to see Gilbert recovering enough from the sore-looking crashed he suffered at Fleche Wallonne to win this one. Especially considering that Liege is his weakest Ardennes Classic – since winning here in 2011 he has always been towards the front, but each time failed to crack the top five. Tim Wellens (Lotto-Soudal) The 23-year old’s impressive long range attack on the penultimate climb of Fleche Wallonne was further evidence of just how talented he is, and the parcours of Liege will be more accommodating for such attacks. Fourth at the Tour of Lombardy last year is an encouraging sign that he can handle the race’s extra length, and he could take the perceived favourites by surprise. Vincenzo Nibali (Astana) Following a slow start to the season, Nibali has come to life in the Ardennes this week, and is likely to again go out on the attack in Liege, the classics that suits him best. He’ll form part of a strong Astana team, alongside Jakob Fuglsang, Michele Scarponi and Fabio Aru, all of whom are an outside bet. Simon Gerrans (Orica-GreenEdge) Last year’s winner appears to have lost the race to be fit in time to defend his Liege title, having only managed 70th at Amstel Gold. Instead, Orica-GreenEdge could turn to Fleche-Wallonne podiumer Michael Albasini, young British talent Simon Yates, or hope for an unselective race and ride for sprinter Michael Matthews.